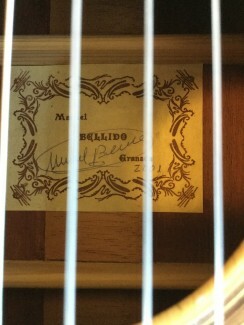 Manuel Bellido is recognized world-wide as one of the elder statesmen of the “Granada school” of guitar building. He is most famous for his flamenco guitars and his instruments are played by some of the top flamenco guitarists in the world including Tomatito and Vicente Amigo. 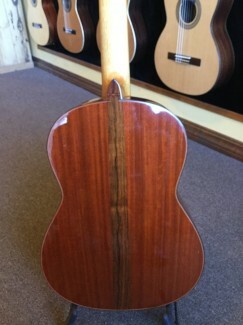 This guitar with the beautiful coral wood back and sides is truly one of a kind. 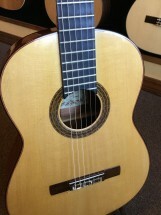 It is a wonderfully versatile guitar with a powerful sound and a tone that is both focused and lyrical. 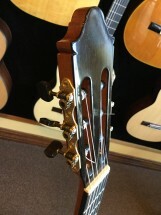 The action is quite low making this guitar fast, easy to play and just a lot of fun. 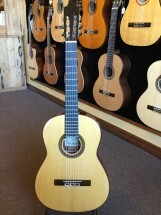 A great guitar for a classical, flamenco, fingerstyle jazz player or a discerning collector.